Smart Roll-on System, is a very special kit which includes everything you need for a safe and stress-free waxing experience. The formula is developed using natural herbal oils aIt heats faster and more homogeneous than traditional cartridges thanks to the patented central heating system. 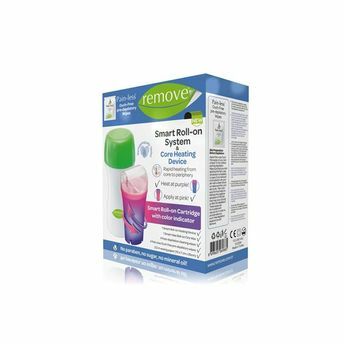 4 Remove After Wax Cleaning Wipes: Ends the depilation process comfortably through the cleaning and care on the skin after waxing. 10 Waxing Strips (each cut to size 7cm x 25cm, total of 2.5 m): Increases the performance of the wax with its strong tackiness and special texture.